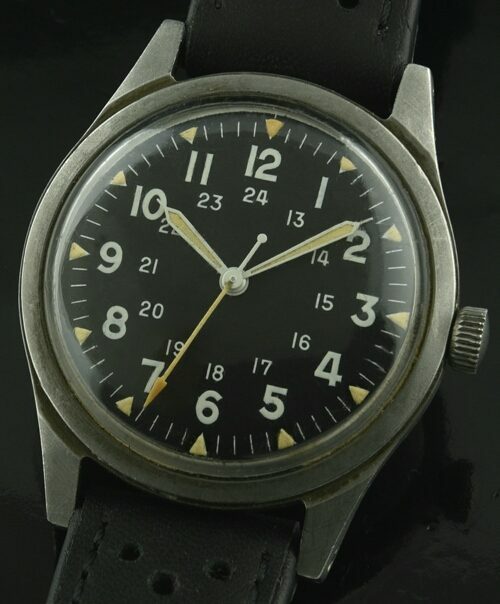 First issued in 1964, this is a USA Department of Defense military issue watch. 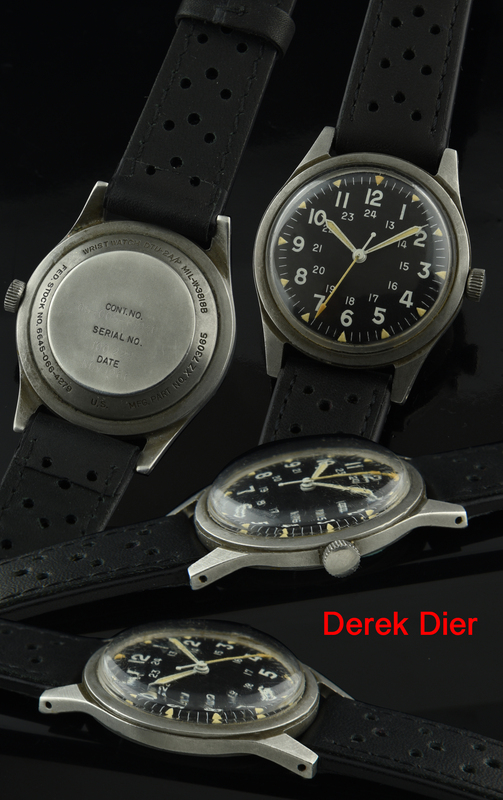 The watch is all original, including the dial, hands and luminous. The manual winding movement was cleaned and is accurate. The anti-magnetic case measures 34mm. and displays very fine condition.